If I didn’t see for myself I would not have believed it. But here she is. This is Joey’s new girlfriend! 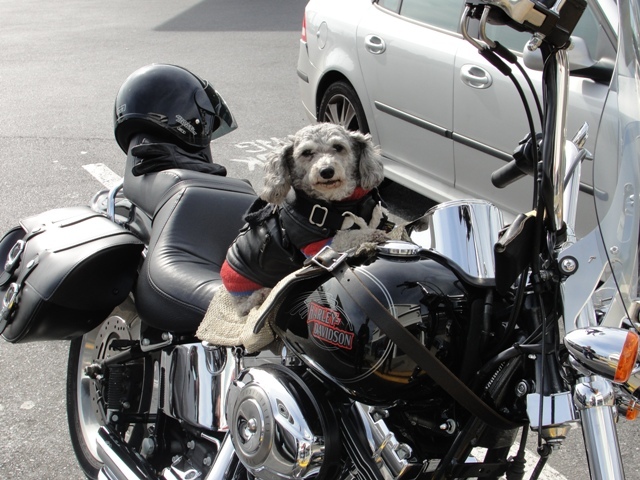 No, she doesn’t drive the bike but she certainly has the outfit. Which is what attracted our little Joey to her in the first place aside from the fact that we were parked next to them. 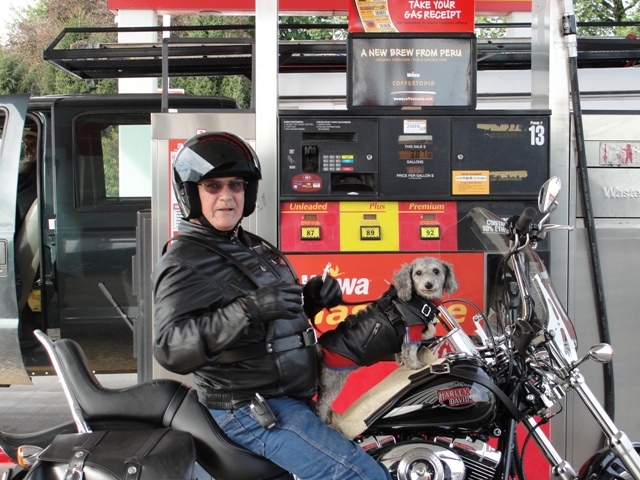 This is Joey’s potential father-in-law and the driver for the biker chick. He told me his wife made the outfit and if you look closely you can see how it has a strap that attaches to the man’s harness. The pad is there for the little doggy feet so that don’t slip and don’t scratch up the metal. 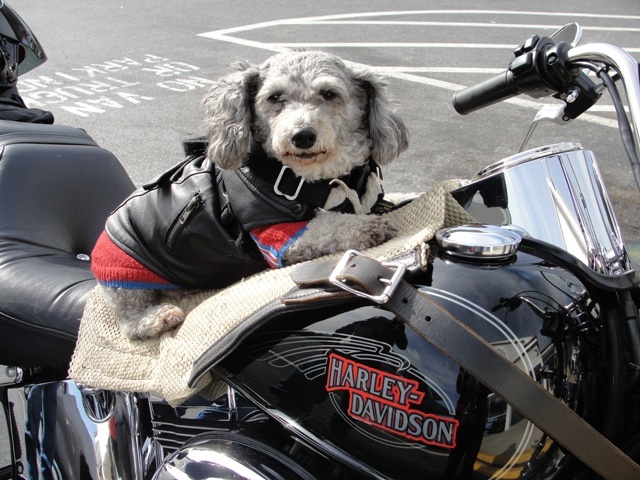 He said that when he starts up the bike the dog gets really excited and jumps up on the seat and waits to have her harness and leather clothes put on. Joey wears a little green knit argyle sweater – I think he is out of his league! They look like they are ready for a fun road trip!